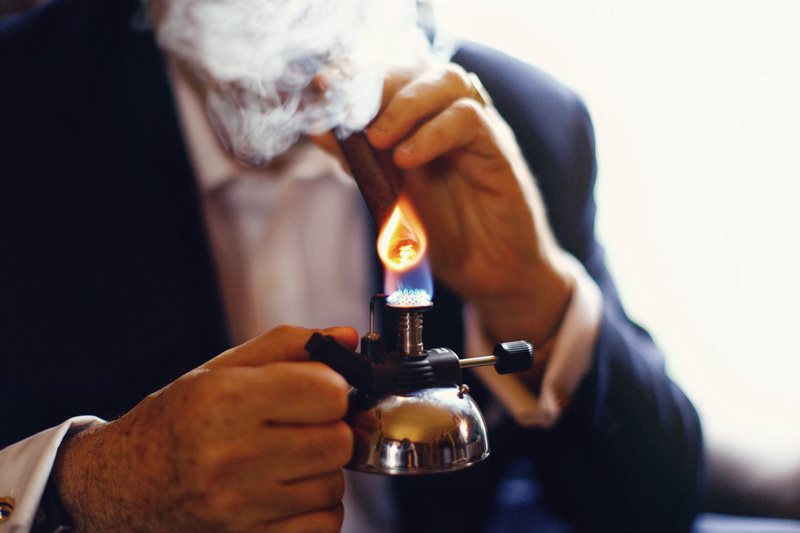 I smoked my first cigar in Havana at age 17. It made me ill and I’ve been wary of the things ever since. 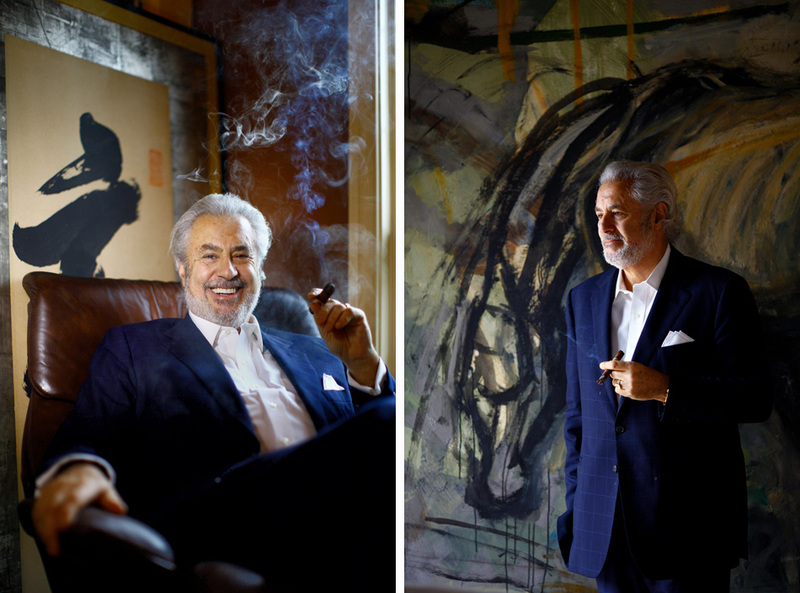 I took the assignment to photograph Bill Paley knowing full well there was going to be a lot of cigar smoke. 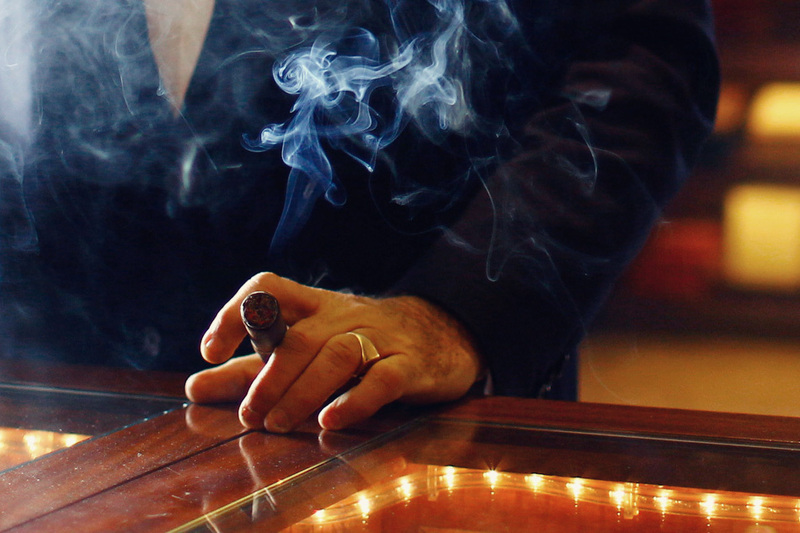 The story was, after all, about a man and his cigar company. It’s about more than that, really- and you should read all about it here. I got to read it in advance and an afternoon of smoke-filled rooms seemed like a pretty great idea for once. It all started off innocently enough- with some sort of blowtorch. 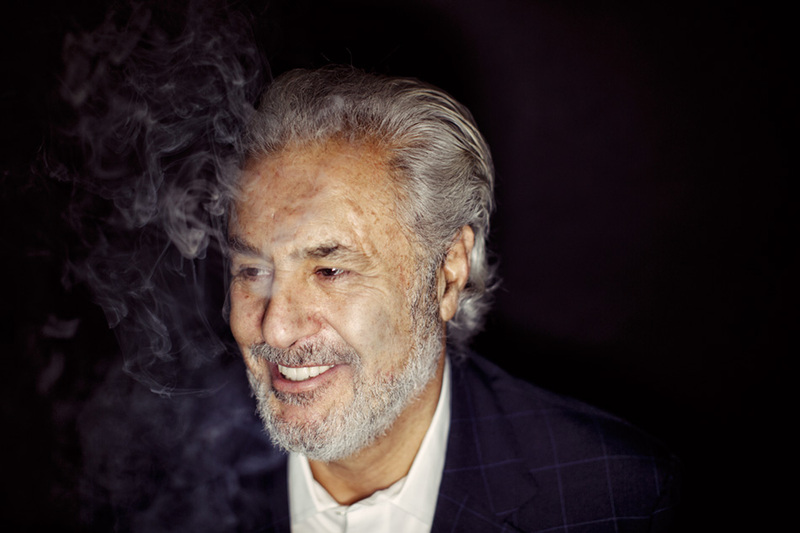 (I never really got to take art school portraits of my friends smoking, but I totally made up for it during this shoot) My pre-shoot notes indicate that my subject will resemble the Most Interesting Man in the World. Uh, yes. Also, I think he gives that guy a run for his money. Family pictures. 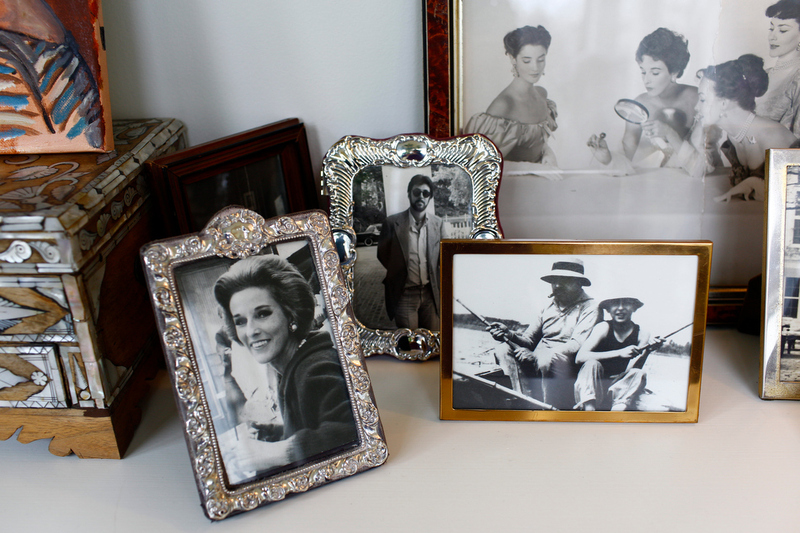 His mother was the ultra-glamorous socialite and Vogue editor Babe Paley. Another family photo. 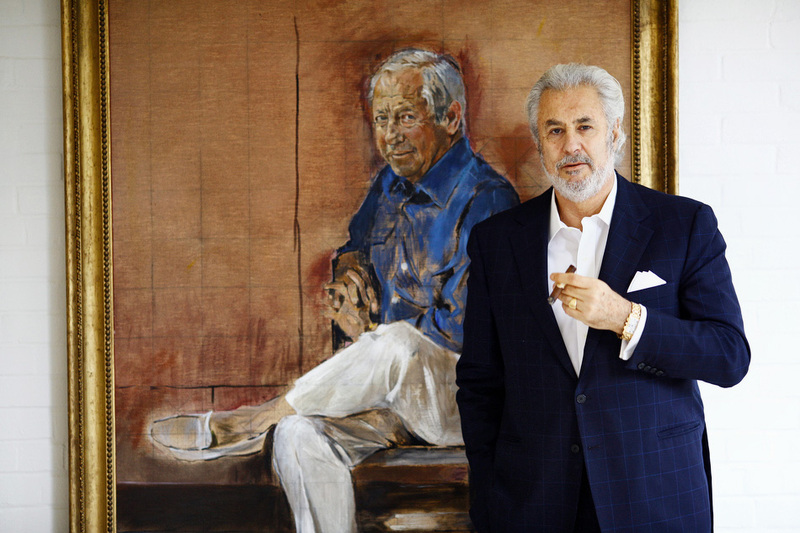 This is Bill with a portrait of his father, the late William S. Paley. 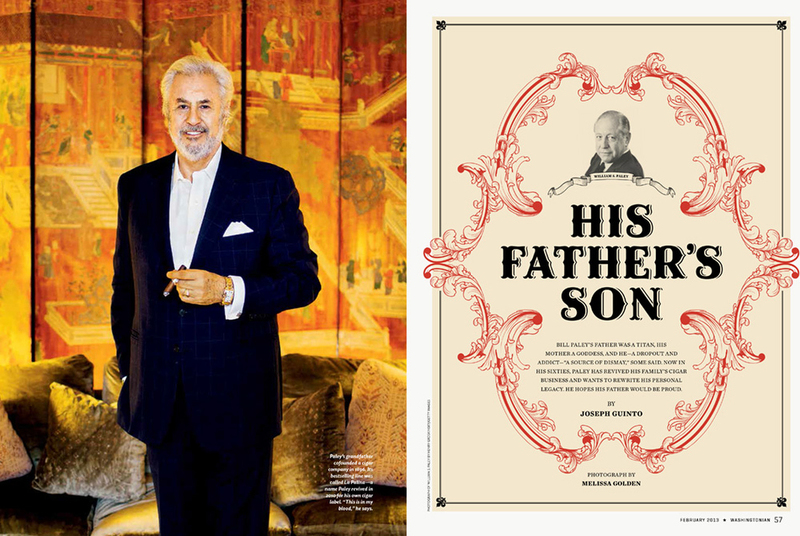 The senior Paley was one of the original media titans who, in 1927, sold his family’s shares in a cigar business (full circle anyone?) to purchase CBS. We all know how that turned out… Bill’s beautiful artist wife making sure he looked presentable. 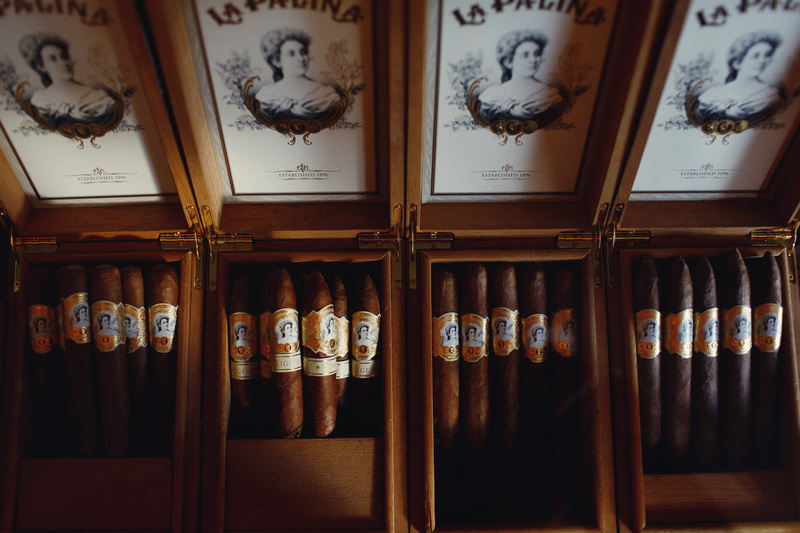 Named for family members, these are Bill’s La Palina cigars, as seen on display at W. Curtis Draper Tobacconist in downtown DC. The shop is sunny and well ventilated. I was surprised and relieved as both a photographer and a non-smoker. Cigars and leather. It’s the simple things. Posted on 10/30/2013 10/30/2013 by Melissa Golden. 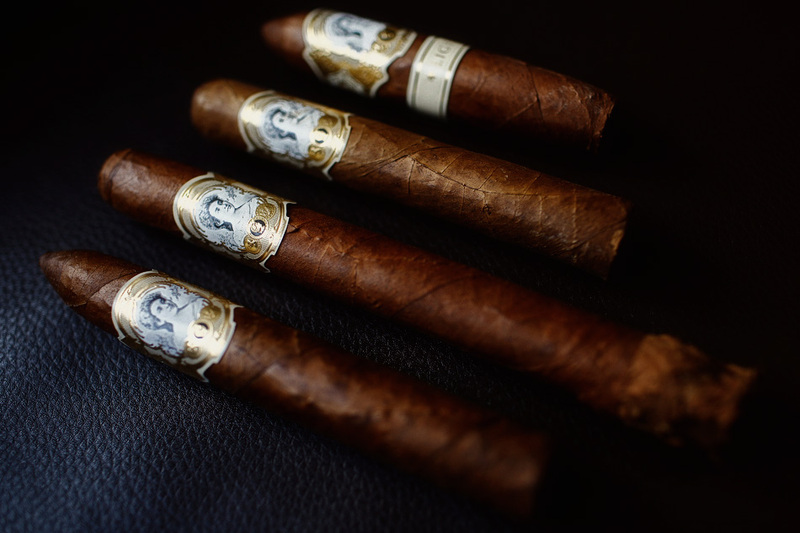 This entry was posted in Feature, On Assignment, Portrait, Washingtonian and tagged Bill Paley, cigars, DC, Feature, la palina, On Assignment, virginia, washingtonian. Bookmark the permalink.